Dr. Spencer joined SVA in 2018 as one of our full time doctors. 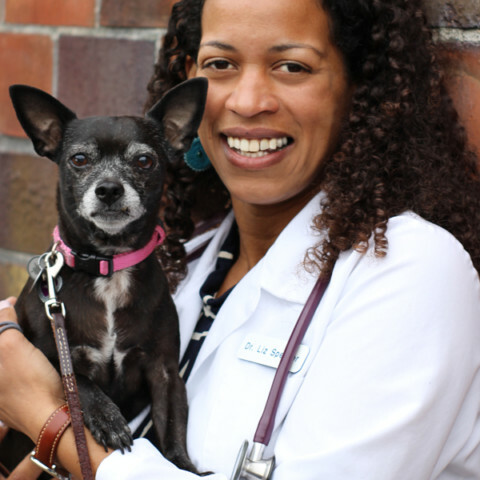 Before going to vet school Dr. Liz Spencer was a very valued veterinary assistant at Green Lake Animal Hospital for 5 years. Many of us still remember working with her, including Dr. Kasey Schmidt who worked as an assistant at the same time. Back then Dr. Spencer volunteered with PAWS in their wildlife center between her normal work and her pre-veterinary studies. Dr. Spencer graduated from Murdoch University in lovely Perth, Australia in 2015. Her veterinary interests include analgesia, behavior, and surgery. She still has a very special place in her heart for wildlife rehabilitation as it was what made her fall in love with veterinary medicine. But really, she says she keeps finding new veterinary interests every day. When she’s not at work she likes to kick up her heels doing swing dancing, hiking, or skiing. She also enjoys cooking, camping, and travel. She shares her life with a border collie mix named Ava Marie, and a well-traveled cat who meows with an Australian accent named Eugene Holstein.